Go back to sleep and have a lie in this morning! *0cm has fallen in the last 24 hours in Niseko. At 08:00 today the temperature was 4°C. 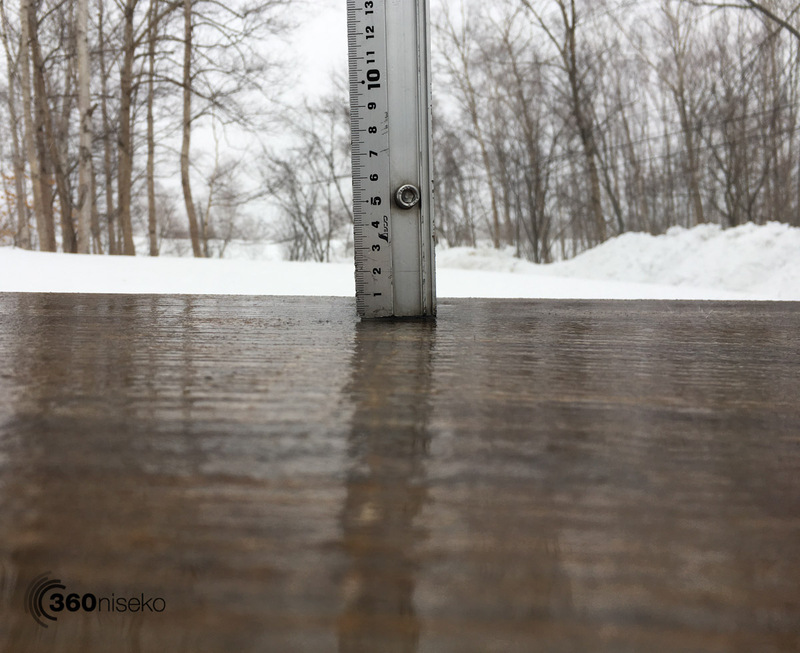 We hate to say we told you so but….it is an awful day here in Niseko with heavy rain. We had very light rainfall from around 3pm yesterday and by 7pm it had turned into heavy rain and this has continued through out the night into this morning. The whole country is in the grip of this battle between a strong high sitting relatively stable to the south east of Japan and low pressure systems coming in from the north west. Unfortunately for us unseasonably warm air is being sucked up from the south and that is all she wrote! 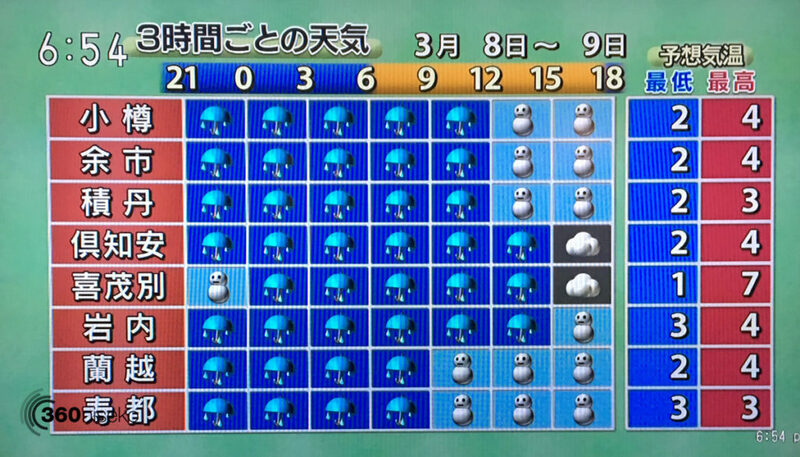 There are parts of Hokkaido that have had more than double the monthly annual rainfall for March in less than one day! 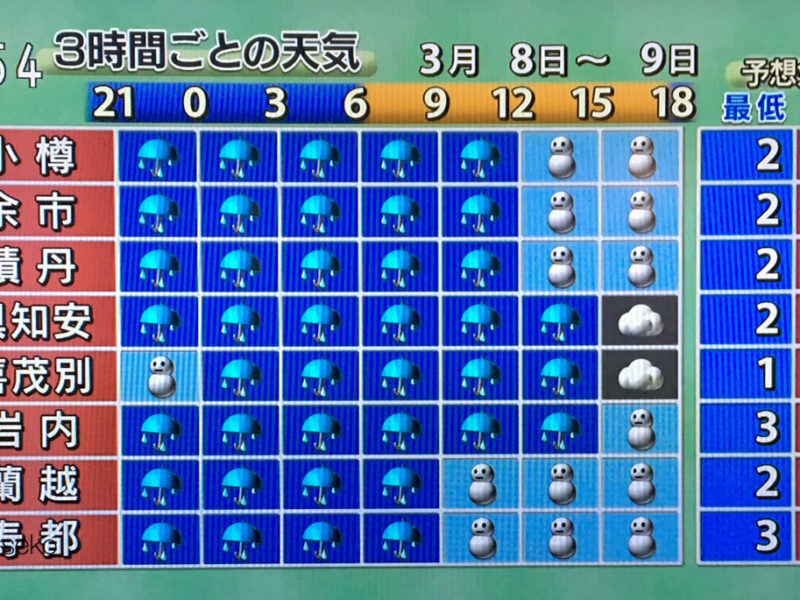 What does this mean for us snow lovers here in Niseko? Well…. thankfully we have had a bumper season and have a huge base of snowfall so skiing and snowboarding on the runs will be fantastic for weeks yet. Overall though it is presently +1 even at the top of “the peak” Mt.Annupuri which means it is raining even up there! The warm temperatures and rain will undoubtably have a serious impact on the back country terrain with the avalanche risk becoming extreme. The week ahead is looking warm and at this rate the snow will be melting rapidly. Fingers crossed for a cold 2nd half of March!